Chris Contino was a History major and a member of the Army ROTC program at The College of William & Mary. Upon his graduation in 2003, he was commissioned as a 2nd Lieutenant in the US Army and went on to serve five years on active duty, including a tour in Mosul, Iraq from 2006 to 2007. After completing his military service in 2008 leaving active duty as a Captain, he joined Kraft Foods. 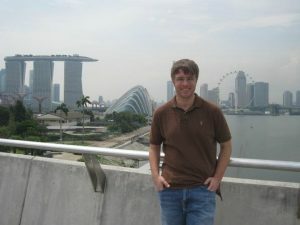 Chris worked for Kraft in New Jersey until an unmissable business opportunity in 2010 convinced him to move with his wife and kids to Singapore. Since then, he has made Asia his home. He is now based in Hong Kong after a spell in Shanghai, working as a Managing Partner at the private investment group VC Growth Partners.